Children represent our future. Given that, the importance of teaching them the value of service and giving back to others, is paramount. Fundraising for kids offers the perfect teachable moment for children to learn what it means to impact the life of another person, help progress an important project, or make their mark on improving the world around them. There are tons of really great fundraising ideas that can engage kids and inspire them to want to participate and give back. Creeklife’s fundraising platform can help kids raise money and awareness. 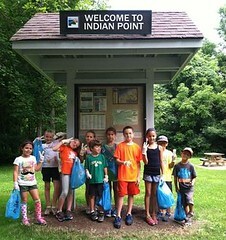 The Upper Neuse River Litter Patrol Action in North Carolina and the Indian Point Scout Clean Up at The Lake Metroparks in Ohio. Some of the best fundraisers for kids are those that allow them to connect with other people. Especially useful in younger kids, connecting with people in need can aid children in understanding the link between people who are hurting or suffering and how helping these people monetarily or otherwise, can impact their life and help them. It is no secret that people connect to people. It may be hard for a young child to understand why recycling is important, but they will definitely understand why helping a sick child is important. Fundraisers that involve helping other people are the perfect introduction for young children. It is not usually hard to find someone in need of help. If there is an existing fundraiser going on in your community, you can consider talking to your young child about it and prompting them to brainstorm to ways that, together, you could help. Some great ideas to engage your young kids include a lemonade stand or a bake sale. Together you can work together to create products to sell and then can set up the stand in your front yard. Kids Caring 4 Kids is a non-profit organization that links funds from kids in the United States to help children in Africa who have been impacted by Aids. This organization has supported the building of schools, orphanages, as well as health care facilities throughout Africa. Kids across America have raised funds by having car washes, dance-a-thons, and penny wars; all to help alleviate the suffering of children half-way around the world. Fundraising is a great way to appeal to your child enthusiast. If you have a kid that is extremely passionate about animals, or teddy bears, or even clothes, you can teach them a valuable lesson by helping them fundraise around what they love. There are tons of fundraising ideas for the animal lover. **Helping out your local animal shelter or city animal protective league, there are a lot of options to raise money that benefits animals. **Even your area zoo may feature sick or injured animals in need of help. **Organizing a walk for animals, where each student pledges to raise a specific amount of money is a great way to raise these kinds of funds. **Soliciting donations from area businesses as well as selling artwork or other kid-created crafts are also good ideas to raise money. **For the kids that enjoy things like teddy bears or clothes, create a fundraiser around these types of things. For example, help your child raise funds to buy teddy bears for kids that are sick in the hospital. **Help your child work a donation table for hand me down clothes to be donated to kids in need. There are a lot of options to be creative with fundraising and call on the natural interests of your kids. If they can connect to what they’re giving back and why, it will be a more memorable experience for them. Older kids are able to better make the connection between giving back and helping the world around us. Environmental fundraisers as well as giving back to impoverished neighborhoods or homeless shelters are all really great ways for kids to improve the world around them. And, there are a lot of opportunities to create teachable moments in these types of settings. For environmental fundraising, and teaching kids the importance of conserving our world, Creeklife is the ultimate fundraising platform. Kids can create their own projects in their communities; recycling, cleaning up parks, or restoring an old playground, etc. They can then seek donations and pledges for their efforts. 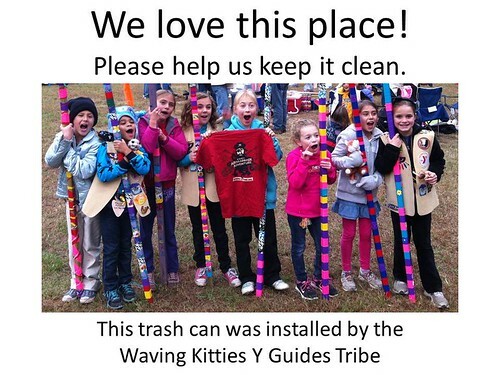 This is a great way to get kids interested in improving their local environment and community. Connect with your local community in an effort to give back to homeless shelters, women’s shelters or impoverished communities. Kids can work together to raise money any number of ways; having a spaghetti dinner, hosting a community garage sale or selling cookies. Once the funds are raised, the kids should participate in awarding the funds to the organizations that they will be benefiting. Getting kids interested in helping other people, the environment, or supporting causes not only builds on their character but supports the future of our society as a whole. Our kids are our future. Their compassion, empathy and willingness to give back will impact our world for years to come. Now let’s apply that to getting every kid into a park in 2015! The Every Kid in a Park Initiative, launched by the National Park Foundation has created a goal of opening one million out-doors for kids all over the United States this year. This initiative, supported by the Obama administration, seeks to invite 4th graders and their families to outdoor treasures, parks, and historic sites at no cost any time during the 2015-2016 school year. This provides students with unique opportunities to see and experience some of the most beautiful parts of the country. By providing an Every Kid in a Park Pass, all fourth graders and their families will be given a free ticket to experience access to national parks, forests, historic buildings and wildlife refuges. By doing this the Park Foundation hopes to provide access to families who may not otherwise make the trip to visit one of these locations. Research supports the concept that kids who spend some of their time outdoors are healthier as well as better students. Hands-on, outdoor learning is a wonderful tool to gain the interest of kids in the areas of science, culture, and history. Unfortunately, many of these programs that once existed in schools have since been cut due to budget deficits. The Every Kid in a Park Initiative seeks to close this gap, especially for the most at risk students from urban, impoverished communities. The hope of this program is to inspire our youth to love and value the great outdoors, as they are the upcoming generation set to care for our parks. This initiative was developed alongside the Open Outdoors for Kids program that seeks to aid children in expanding their historical and cultural horizons as well as science base by providing access to these areas. Individuals supporting this initiative are encouraged to sign the pledge and help open an out-door for a kid! As of March 11, 2014, 112,859 doors have been opened, with the ultimate goal of one million doors to open! Signing the pledge means committing to the effort of helping children learn and grow in the areas of history, culture and science while allowing them to connect with nature. Experiential learning in the outdoors is an invaluable experience for our youth. Pledge to open a door today!